Park your boat and/or water toys at your own private dock at this single family home on desired Barker's Island. 2001 construction home feels like brand new without the new build price tag. 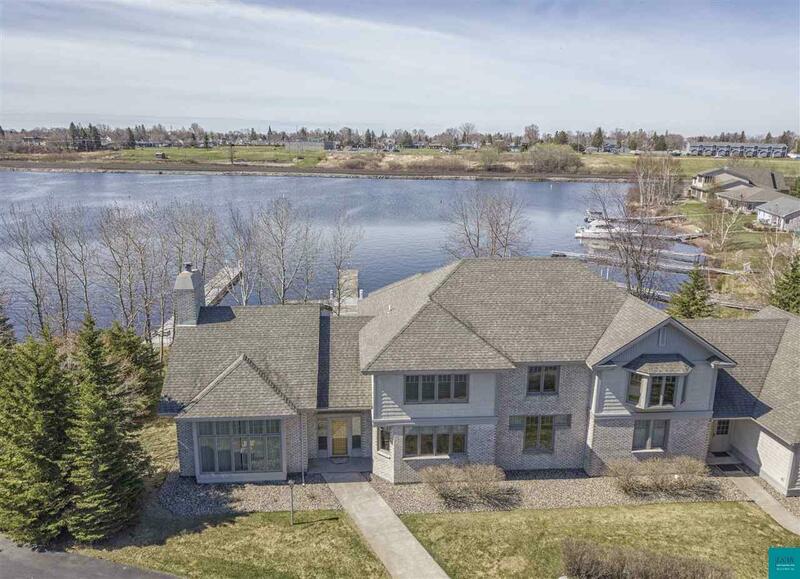 One of the few homes with direct boating access to Lake Superior in the Twin Ports. The grand entry will impress your guests. Entertain in style. Nice open floor plan with a gourmet kitchen featuring a large granite countertop breakfast bar and kitchen island. Formal and casual dining seating for 15+. THREE private master suites all with water views. Special features are all throughout this home to include a bonus room above the 3 car heated garage, 4th guest bedroom, huge walk in closet, fireplaces, generator, wet bar, a maintenance free deck with security gate, and an upstairs balcony off the bedroom. The association fee includes lawn care and snow removal so your outdoor time is spent on the deck or on the water. What's not to love?